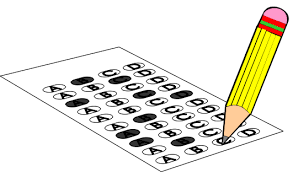 Students in grades 1-9 will be taking the Stanford 10 assessments April 15 – April 18. Students in grades 1-9 will be taking the Stanford 10 assessments April 15 – April 18. Just a few reminders to make the week go smoothly. Be make sure your children get to school on time. We will start testing each morning as soon as possible. Also make sure that they get to bed early and eat breakfast. Testing could go as late as 11:00 some days. Please call the school by 7:45 if your child wakes up sick. Talk to your child about trying his or her best and staying focused during the test. We appreciate your support and want our students to show what they know! Let us know if you have any questions.